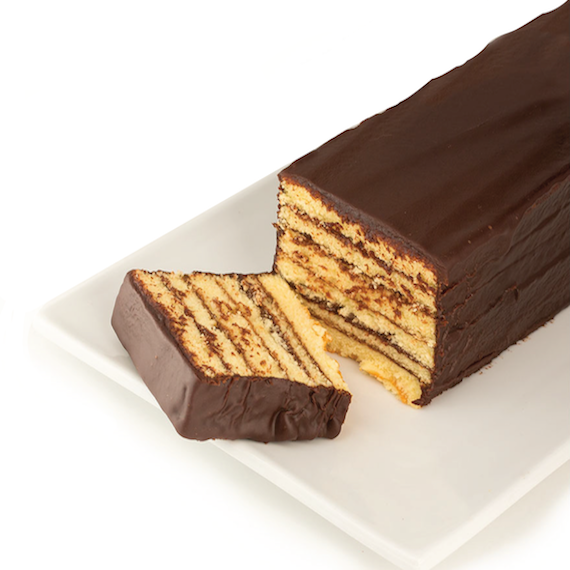 When Saint Louis celebrates they mark the occasion with a Miss Hulling's Old-fashioned Split Layer Cake! This delicious Saint Louis tradition is available exclusively at Straub's Bakery. Layer after layer of the delicious taste you remember. My Grandmother used to bring these to our house when I was little. My siblings and I would all fight for the end piece. I still buy a couple for Christmas in honor of my Grandma Mil. I just got the best Thanksgiving present! Straubs will ship the split layer cake again! Hurray-make my day! This is a family tradition whenever I visit my out of town relative to bring as many Miss Hullings split layer cakes that I can carry through security. My peak carry-on was 4. When driving to K.C. 8. The cakes freeze well also if for some reason they aren't all gobbled up when 1st served. Thank you Straubs! I couldn't find these cakes no where. I cant wait for it to show up today, its been over 15 years..I found them!!!!! I am a St. Louis foodie. I was taught well by my mother whom, I consider the Original Foodie. She taught my siblings and I how to be discerning in our food choices and tastes. From Chinese to Miss Hulling's. Mom would go anywhere in and around St. Louis in search of THE BEST. At 50something THE BEST cake I have yet to taste is Miss Hulling's Split Layer Chicolate Cake. It is a moist, rich, perfection of yellow cake and chocolate icing. (Or Lemon for my sister.) I have been fighting with my mother and siblings my whole life for the prized end pieces. Only winning after my mother died and I buy them for myself. On the rare occassions I get home Miss Hulling's Split Layer Chocolate cake is a MUST! Last week it was a Shiva must. Miss Hulling's Split layer is the best Dobosh Tort-like cake I have EVER had. And I consider myself a foodie. Thanks mom.